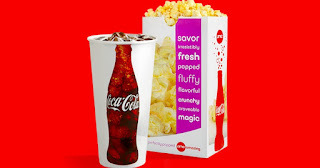 Savvy Spending: AMC Theaters: Cameo Size Drink and Popcorn for $5 for Teens through 3/24! AMC Theaters: Cameo Size Drink and Popcorn for $5 for Teens through 3/24! Just go here, enter your date of birth and your coupon will instantly appear! Then save or print it out!